So I’m always looking for stuff to do with the kids and fun places to go. We sometimes end up walking around shops, which is fine, but not always the most fun for the children. I justify it by letting them play in the Lego Shop for a bit and watch the big tvs in the Disney Store. If I’m honest, though, it’s not that much fun for them. We do a lot of exciting, kid centred stuff so sometimes I just like looking around the shops. 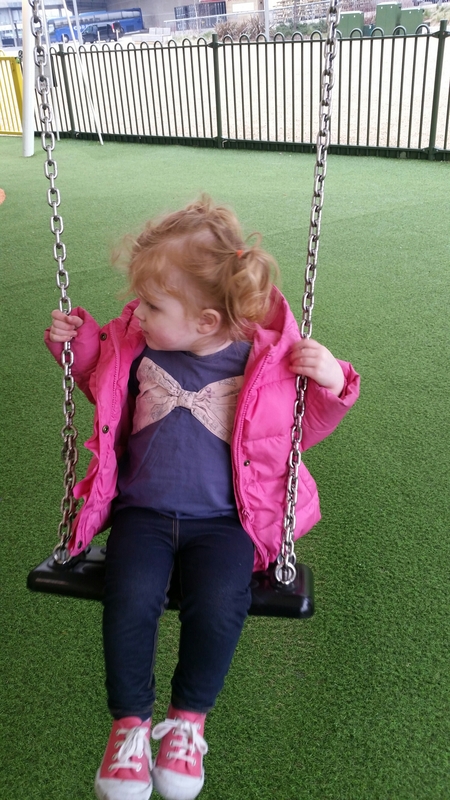 Here is the best bit, there is a great big outdoor play area for the children. It is covered so even if it rains the kids can still play. 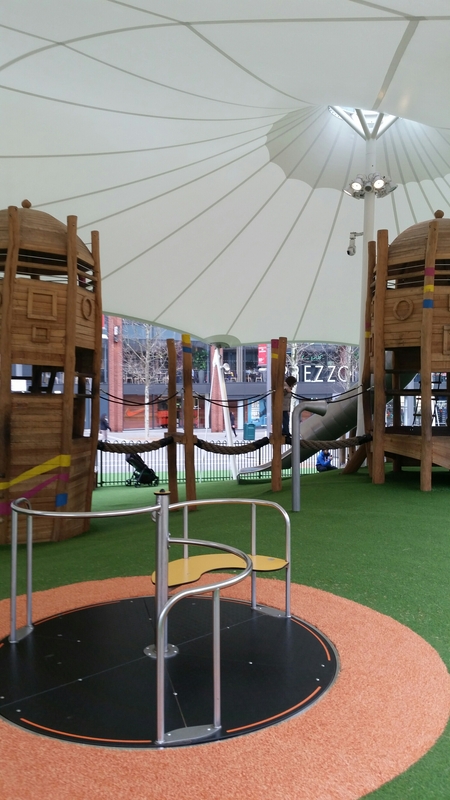 It is totally enclosed so the little ones can run around as much as they like and enjoy the playground. 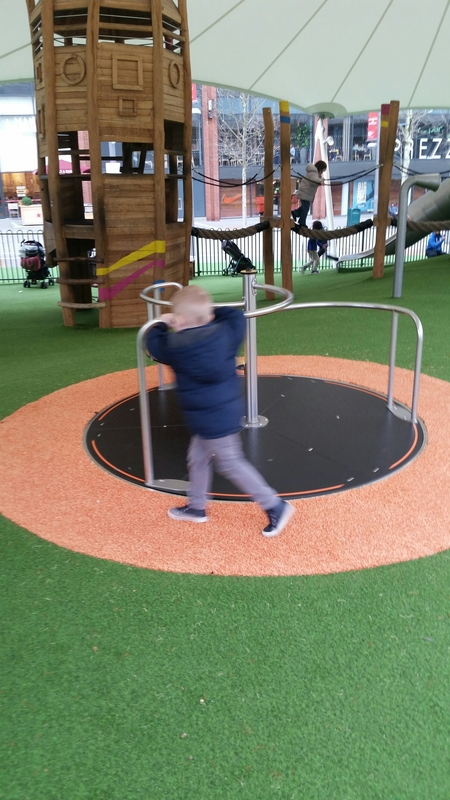 It has all the usual swings and slides, as well as great climbing ladders and rope walks. My kids absolutely love it! You have to walk past it to get to the shops so we generally go there first for a bit then go and have a wander around. The kids know that we can go back to the playground again on the way out too so they look forward to that while we are doing our shopping. We had such a lovely afternoon there today with a friend. It’s kind of like guilt free retail therapy because you know that your kids get to have fun too! 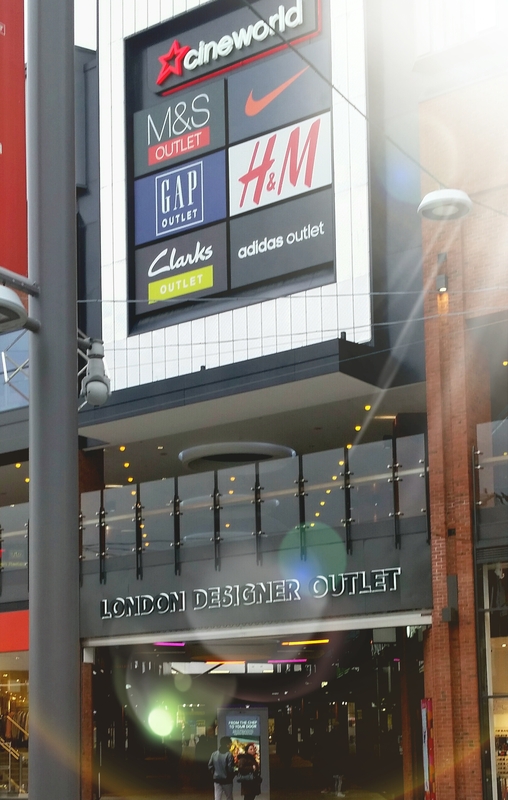 Have you been to the London Designer Outlet? What did you think? Are there any other favourite places you can share?